An exciting opportunity for a social community manager with a flair for design. The Community Manager & Designer is responsible for promoting Akendi services and UX training courses through social media as well as engaging with and expanding our existing community on all of our social channels, including our blog. The Design Director is the creative visionary that guides the creation of intentional experiences through graphic design for both Akendi and our clients. The Design Director strategizes and problem solves to ensure that the work that is delivered to internal and external clients meets key business objectives, is usable and inspires them with perfectly executed design solutions. 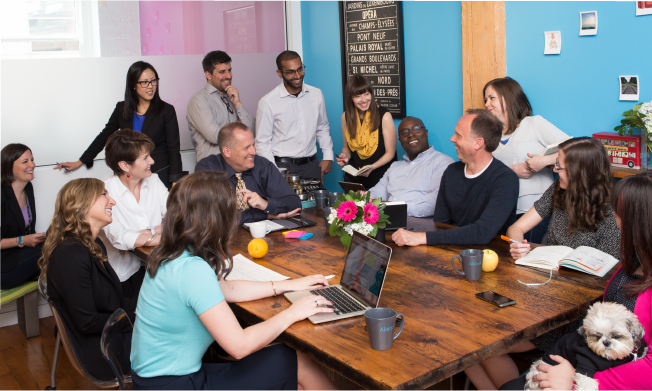 Akendi is looking for an experienced Director UX in our Toronto office. The director will manage projects around user research, usability testing, IA and interaction design. Akendi is looking for an enthusiastic Senior Designer in our Toronto office. This person will design websites, software, mobile apps and data visualization projects. Not seeing your position but would like to introduce yourself?